It’s a good looking phone case, there’s no doubt about that. The Snakehive Slimline Wallet is also really good at what it’s aimed at; squeezing a couple of credit cards and some cash into a phone case. Great stuff, but for travel, it’s not perfect. 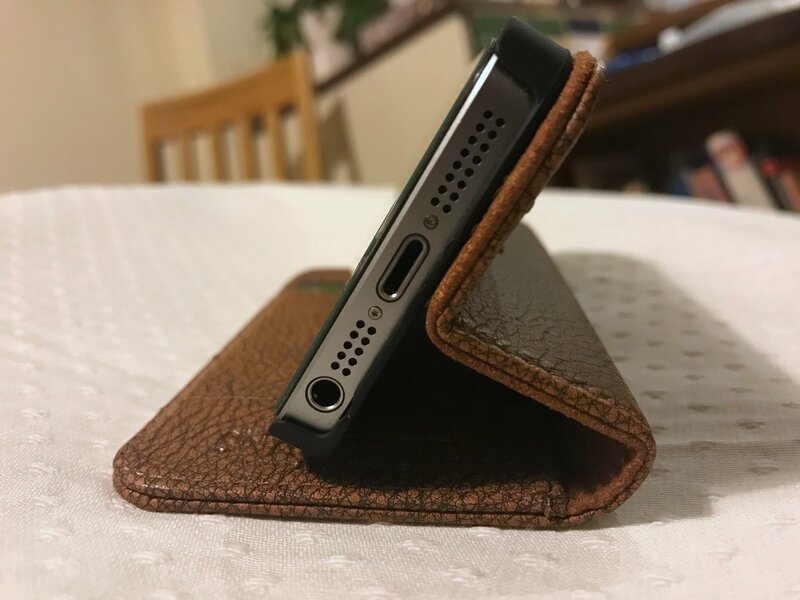 Although we tested the iPhone SE version, the Snakehive Slimline Wallet case is also available for iPhone 7, iPhone 7 Plus, iPhone 6/6S, iPhone 5/5s, HTC 10, Samsung Galaxy S7/S7 Edge and the Sony Xperia Z5 Compact. And while we can’t vouch for the exact design for the other models, we did notice on our iPhone SE that each time we took a picture using the flash, the light rebounded off the cut-out and ruined the final image. In truth it’s a problem we’ve seen on many cases, but just as many completely avoid it by using a larger cut-out. That’s a shame because otherwise the Snakehive Slimline Wallet is a decent case. It’s smooth and well-made, it’s available in Ruby Red, Grey, Teal, Tan Gold, Deep Blue and Plum colours, and it’s highly functional. With more than two credit cards in the inner cover the magnetic closure doesn’t work – no surprises there – so don’t overfill it. Ditto if you put more than a note or two folded-up in the envelope section. However, it does prop-up well for watching video on the a plane seat’s dropdown table, and overall, a decent case that’s worth considering for urban life, BUT if you’ve got flash photography on your mind, it’s best avoided.